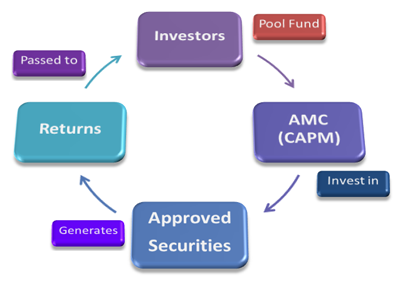 Mutual funds are professionally managed investment vehicles created through a trust with the intention of investing a pool of savings in various types of financial instruments for the benefits (monetary) of investors over a time period. Services of experienced and skilled professionals who are backed by a dedicated investment research team which selects suitable investments to achieve the objectives of the scheme. 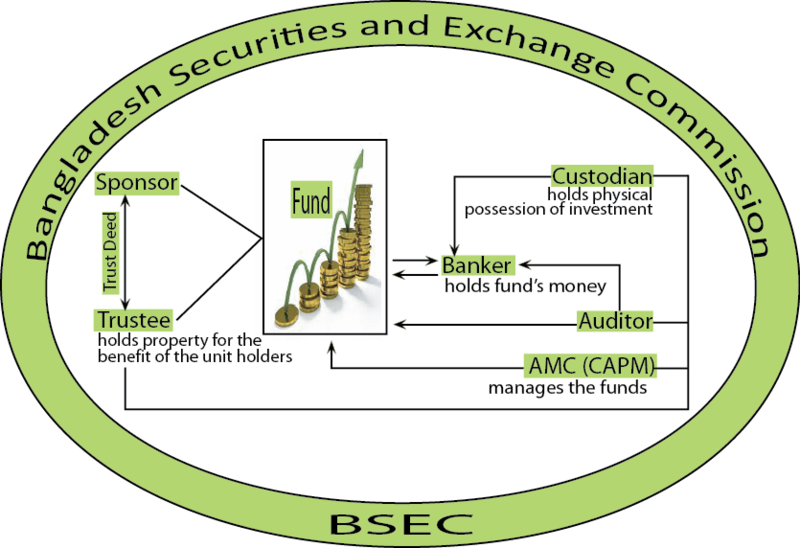 Mutual Funds invest in a number of companies across a broad cross-section of industries and sectors. You achieve this diversification through a Mutual Fund with far less money than you can do on your own. The benefits of scale in brokerage, custodial and other fees translate mutual funds into a lower cost financial solution for investors. A dedicated and qualified investment research team who analyses the performance and prospects of companies and identify eligible securities to invest which justify the objective of the fund. Before looking at the mutual funds available to you, it may be best to decide the mix of stock, bond, and money market funds you prefer. Some experts believe this is the most important decision in investing. Here are some general points to keep in mind when deciding what your investment strategy should be. Diversify. 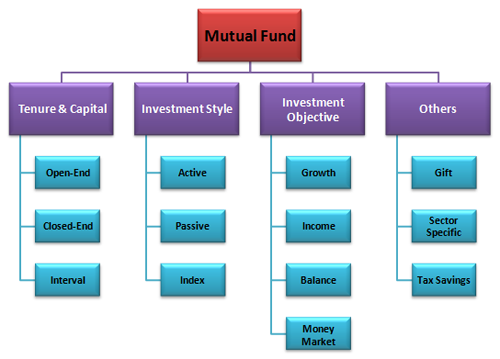 It is a good idea to spread your investment among mutual funds that invest in different types of securities. Stocks, bonds, and money market securities work differently. Each offers different advantages and disadvantages. You may also want to diversify within the same class of securities. Diversifying can keep you from putting all your eggs in one basket and therefore, may increase your returns over a long period of time. Consider the effects of inflation. Since the money you set aside today may be intended to be used several years down the road, you need to look at inflation. Inflation measures the increase of general prices over time. Conservative investments like money market funds often may be popular because they are managed to keep a steady value. But their return after accounting for the inflation rate can be very low, perhaps even negative. Patience is a virtue. It's no secret - the prices of common stocks can change quite a bit from day to day. Therefore, the part of your account invested in stock funds would likely fluctuate in value much the same way. If you don't need your money right away (for at least 5 years), you probably don't need to panic if the stock market declines or you find that your quarterly statement shows the value of your investment has fallen. In the past, the stock market has regained lost value over time. Although you are not assured it will do so in the future, try to be patient and allow your stock funds time to recover. Remember the saying, "buy low, sell high." Switching out of a stock mutual fund when prices are low is usually not the way to make the most of your investment. Of course, if a fund continues to under-perform over time as well as your other fund choices, you may want to consider changing funds. Look at your age. Younger investors may be more at ease with stock funds, because they have time to wait out the short-term ups and downs of stock prices. By investing in a stock fund, they might be able to receive high returns over the long-term. On the other hand, people who are closer to retirement may be more interested in protecting their money from possible drops in prices, since they'll need to use it soon. In this case, it may be wise to place a greater percentage of money in bond and/ or money market funds, which may not have such large changes in value. Risk. When you are choosing funds, be sure to consider how much risk you are comfortable with and how close you are to retirement. If retirement is around the corner, you may want a portfolio with very little risk. On the other hand, if you are younger, and have the time to weather the market's ups and downs, you may want to choose a more aggressive investment strategy.